If you read this blog, you know that I am a believer in the importance of special teams. Half of the debacle of the Brandon years consisted of games thrown away on special teams mistakes. Similarly, in the early Clawson years we lost a game by a missed XP and we certainly learned how important it can be to be able to nail a FG in the middle of the 4th Q when you can make it a two score game. The good news is that the Falcons are in excellent shape on special teams, maybe as good as any team in the conference. In fact, Phil Steele ranks BG as having the best special teams in the conference. That starts at PK. Tyler Tate is just a true weapon. He was 23 of 29 last year for 79%, which was the 3rd best percentage in the MAC. The only kicker to make more FGs was Secor with BSU. Perhaps most importantly, he was 5 of 7 past 40, which is excellent. I think we'd all like him to attempt fewer FGs as the offense gets into the end zone more, but Tate is the best player at this position in the conference. Speaking of something we'd like to do less of....let's talk about punting. BG punted 82 times last year, which is 15 more than the next nearest team in the MAC. I would be shocked if that's not a school record. The good news is that our new punter--Joe Davidson--got a lot of practice. He was also very solid. He was third in the MAC in yardage and net punting. Phil Steele ranks him as the top punter in the MAC. Here's a stat for you. Out of those 82 punts, 24 ended up inside the 20 and only 3 as touchbacks. Again, success this year would be continued quality in punting with less quantity. Moving to the return teams...starting with kickoffs. BG was not especially strong on these. Clint Stephens and Ronnie Moore handled most of them, with Stephens being slightly better and adding a score. BG was 7th in the MAC in kick returns. The depth chart doesn't say who will be returning kicks, so we're left to guess a little. Having said that, with the kind of players we are recruiting, there should be no shortage of guys who can fill this role and I'd expect BG to finish higher than 7th. BG returns the conference's top punt returner as well in Ryan Burbrink. BG led the MAC in punt returns with 10.2 yards per return last year and was the only team to score twice on a punt return. Teams are increasingly punting in a way that limits returns, and BG had only 16 returns in 14 games, making those two scores even more impressive. Burbrink is very dangerous in space and teams are accounting for him when they punt. On kick coverage, BG was 12th in kickoff coverage. The kicks themselves averaged 58 yards from Anthony Farinella, who returns, and that was 8th in the MAC. BG kicked off 86 times, second in the MAC, and yet only had 15 touchbacks. In comparison, Ball State had 29 TBs on only 74 kickoffs. UT had 37 touchbacks on 86 kicks. So, when you've got guys running around you're going to end up over the 25 more than you'd like to. The difference is not that big a deal. Teams started on the 28 on average against BG and around the 23 for UT, who led the MAC. On punt coverage, BG gave up only 7 yards per return. There were 0 TDs and only a 40 yard long. Honestly, this is as good as special teams have looked in a while and is certainly a strength as BG attempts to get back on the winning side at Ford Field in December. BG has another football verbal. This one Edrick Matthews, from Detroit's HS football powerhouse, Cass Tech. He is listed as a strongside DE and is 6'3" and 280 pounds, which is pretty good size for an end who is just starting as a senior. He had offers from UT, EMU and Kent, according to Rivals. It is kind of a good story. Cass Tech opened their season Friday with a dominating performance by the d-line. While being interviewed after the game, Matthews told them he was committing to Bowling Green, sort of out of the blue. Welcome to the Falcons, Edrick. You might have been taught when you were young to tackle the toughest task first. I have never been a proponent of that approach. So I previewed the offense first. Now, the defense. Since BG walked off Ford Field as the champions of the MAC, it has been a difficult time for that defense. Mike Elko had built a prodigious unit and system that was dominant in its final games, even after losing Gabe Martin to injury. Then, last year BG had one of the biggest regressions in any unit we have seen, especially given that so many of its players were back. Yes, BG had injuries--but fewer than other MAC teams did, including UT--and was shredded relentlessly by WKU when 100% healthy. Anyway, BG then lost nearly the entire unit. Looking at the depth chart from the Camellia Bowl, BG returns only 3 starters...Schweiterman, Royster and Sanford. BG lost 2 additional players from the second string. Four of the graduated players are in NFL training camps (making last year's struggles all the more disappointing). Thomas, Croley and Johnson were expected back but left the program due to legal issues. A struggling defense lost most of its players and some of them were top producers. Coach Babers did some re-shuffling over the winter. He moved Kim McBroom, last year's DC, into a new position and brought in Brian Ward as a new DC. Ward has a strong defensive pedigree in FCS and should help to solidify the defense from a scheme and preparation standpoint. The question is, does he have the players he needs to get the job done. One digression. Coach Babers is an offensive coach, but people who think he doesn't care about defense are not right. He had a good defense at EIU and he has worked hard to recruit defensive players and there is the Ward hire. Coach Babers knows great teams are good on both sides of the ball. So, the players. One thing is that while he didn't play last year, Zach Colvin is a returning player on the d-line and he's needed. It is great to see him back after a very difficult year. Brian Baird and Terrance Bush--both players with some experience, especially given the rotations on the d-line--are starting on the ends, and Colvin and Royster will be at tackle. Speaking of rotations, the the backups at ends (Brian Sanders and walk-on David Koniowalski) have not played at all. In the middle, Mike Minns and walk-on Schweiterman do have some playing experience. This is going to be a critical unit. If the more traditionally built teams can run the ball down our throats and eat the clock up and keep that offense on the bench, we're going to be in trouble, especially when the weather turns. At LB, BG lost two great players, Gabe Martin and DJ Lynch. Austin Valdez has stepped up at one spot and James Sanford returns on the other side. In the middle, Nate Locke was the backup for the Camellia Bowl and the remains the backup now. The Fall Preview from BGSU showed r-So Aaron Banks starting at MLB. Banks came to BG as a S.
Depth at LB includes former S Nillijah Ballew who was highly recruited to BG and now moved to LB. Of course, there is Locke and Trent Greene on the other side. Phil Steele ranked the BG LBs as the worst in the MAC. I'd say that's a little harsh but they aren't starting off any higher than the middle of the MAC. Maybe they have been coached up...but this is as big an area of concern as the line for many of the same reasons. In the backfield, BG lost a starting CB. Clint Stephens is back and playing alongside Darrell Hunter, who had trouble finding the field last year but has a lot of playing time under his belt. At S, BG has Dernard Turner, who was effective last year while Ryland Ward was injured and, of course, Eilar Hardy the Notre Dame transfer. Depth is critical here as well, and BG has untested players listed as second string guys at 3 of the 4 positions. In general, I think the backfield is OK at the front line, but softer in nickel and dime sets. Anyway, it isn't that the defense doesn't have a chance to be competitive, just that there are a huge number of question marks that have to turn out right (as in, run the table) in order for the defense to be above average. In addition, this year's defense is incredibly vulnerable to injuries at most positions. Finally, they have a challenge in that they don't get to practice against any mainstream offenses. Best case scenario is that the offense is what we expect and the defense is good enough to get a few stops--by punts or by turnovers--and that formula is a winning one. Worst case is that the offense has too many quick possessions and the defense gives up nothing but long drives....and that won't be a winning formula. One last note. If the defense stays healthy and is well coached, they also have the chance to improve. Their are lots of new guys and if they are being well coached they could be much better in November than they might be Saturday, so I'd encourage fans to see it as a work in progress as well. The Blade reported this afternoon that BG has a transfer LB. He is Dorian Hendrix from Huber Heights, was the #26 LB in the US according to Rivals. He went to Kentucky as an early enrollee and then redshirted and now is coming to BG. He is in school now and will be eligible in 2016 as a sophomore. Heading out of HS he had offers from Indiana, Illinois, BG, UT, and OU. There was some initial news from KY that he was making the adjustment to college football well. Here's the story from a few days ago when the world learned that he would be leaving Lexington. Welcome to Bowling Green, Dorian. One last note on expectations. Give the young man a chance to show what he can do. These guys have often gone a long time between playing competitive football and there can be an adjustment period. I think we saw it with Dieter, for example. Anyway, give them a chance to come around. We are, today, one week from the opening of the 2015 football season. I'm going to preview the season over the next few days, covering each element of the team, starting with the offense. Previews are previews. You are projecting, usually based on the past and not the future. Having said that, the most likely scenario is that BG is going to struggle to get consistent stops. Under that scenario, if the Falcons are going to win the East and have any shot at winning the MAC, they are going to have to score points by the bushel. This is obviously what we are set up to do. The pressure on points is even stronger because the offense isn't geared to running out an 8 minute TD drive to kill a game. If we score, the defense is going right back onto the field. This team probably will need points to win, and a lot. Just to put the challenge in perspective, for all of BG's #Falconfast hype, the Falcons did not have a good offensive output last year. BG finished 8th in the MAC in scoring offense (conference games only). BG was 4th in total offense, 4th in rushing offense and 5th in passing offense. That last stat is largely based on playcalling. The team was 11th in pass efficiency, largely due to completing only 54.8% of its passes. Look. There's every reason to think BG will score a ton of points this year. All I'm saying is that this isn't what happened last year. BG was an average to slightly above average offensive team last year. (BG was also +8 in turnovers. It is very unusual for a team to have a disappointing season while they are +8. Usually, those team exceed expectations). Anyway, the biggest difference is obvious, and it is at QB. Matt Johnson was injured late in the first game of the season last year, and things were never the same. (Things weren't good when he was forced out, but that's another matter). James Knapke stepped in and gave it at all, had a couple of very good games and had some struggles. He was also playing in a system that no one really knew and he was making his first starts. He got a rough ride from fans---and was replaced in-game at least a couple times by Cody Callaway--but it wasn't the best of circumstances, either. Having said that, and nothing against Knapke, but the biggest immediate upgrade for this offense is getting Matt Johnson back. When we last saw him, he was one of the MAC's best QBs, and assuming he is healthy (which he seems to be) he is incredibly well suited to this kind of offense. He can make all the throws, can take off into an open field, and is a very cool customer. Having him back just makes a huge difference. Depth at QB appears to be Knapke and Nolan Dieter. It appears that the plan is to redshirt Morgan, and Callaway and Clayton Nicholsan are no longer on the roster. Knapke could continue to get better, but you'd expect a big change if Johnson got injured again. Johnson has incredible tools to work with. BG should be able to run and pass in any situation and generate big plays with the defense spread out and on its heels. In addition, the Falcons have an experienced line that is leaner and readier for the pace we are going to play. Starting at RB, BG has a lot of depth. There's Travis Greene and Fred Coppet, both of whom are high quality backs. They have both struggled with health, which is where the depth helps. BG also has Ga Tech transfer Donovan Wilson to add depth. RBs can get huge numbers in this offense, and there's every reason to think that can happen this year. WRs are similarly stacked. BG returns Ronnie Moore, Gehrig Dieter (who appears to have his sea legs back), Ryan Burbrink and all-MAC Roger Lewis. Behind them are guys like Chris Gallon, Jermal Hosley, Tao Redding, Herve Coby and Scott Miller, who made some nice plays in the scrimmage. All that goes without mentioning Robbie Rhodes, the Baylor transfer who has struggled with injuries since he arrived here but if healthy would have huge upside. Point is, even without him there's a ton of talent at WR. At TE, BG has JUCO transfer Derek Lee, who made some plays in the scrimmage and he does look like he can help to provide another option. On the line, BG is also very solid. Anchored by Alex Huettel at RG, the Falcons have experienced Jacob Bennett and Logan Dietz at T, Ryan Hunter at the other G and Tim McAuliffe at C. BG is second in the NCAA in career o-line starts and Phil Steele ranks BG as having the best OL in the MAC. (Even better, only one is a senior). So, down the line, stem to stern, this offense is set up to succeed. Risks would include an injury at QB or some kind of ongoing chemistry issue with the offense. Final thought. It likely won't be good enough for the offense to be good or even great. They have to play at a high level the whole way in any game BG is hoping to win. It is August, so the NFL must be working its way through training camps. Here's a brief report on how the former Falcons are faring. Shaun Suisham of Pittsburgh is injured and out for the season. Korey Lichtensteiger is in his 7th NFL season with 67 career starts, now playing C for Washington where he played at BG. The former UDFA had started all the games for the last three seasons and both pre-season games for the Redskins. Gabe Martin made 2 tackles and forced a fumble for the Cardinals in their first pre-season game and did not register any stats in the 2nd game. Kendall Montgomery is with Miami, has no stats showing to date. Jude Adjei-Barimah has made two tackles for Tampa Bay. I saw him in the game against the Bengals on Monday and he was in the game early in the 3rd quarter. Best of luck to all of them! You are Falcons forever. NOTE: Thanks to commenter JimBG24 who reminded me that I forgot Super Bowl Champion Chris Jones, who is still with the Patriots. He has been on the PUP for the entire camp. I'm an idiot. Coach was asked Saturday about Tennessee. He said that in terms of formations, the Volunteers run a lot of the same formations BG does which is a break for BG's defense as it gets ready to put a lot of new guys into action for the first time and on an NFL field. He said he doesn't expect the tempo to be what BG does, but thinks the formations are very similar. I attended the scrimmage for season ticket holders Saturday, and just a few thoughts and observations. Note that I could not stay for the remarks so I have no idea what anyone might have said. Usual caveat. Scrimmages are hard to judge. As Coach said afterward, you want to have plays made on both sides of the ball and that did happen. Coach also says that you should be able to close your eyes and tell by the popping pads that a good football team is out there. That was certainly true. The scrimmage was on the practice field and with the fans standing right on the sideline you can really feel the impact much more than you can in the stands. The day's biggest hit was on a pass down the sideline, about 15 feet in front of me. Knapke had led Dieter, who was open, but freshman safety Jamari Bozeman was on the read and he timed in perfect and just clobbered Dieter. It was a clean and very good football hit. No one was injured. (In fact, I didn't see any injuries in the scrimmage). The offense scored a bunch. Johnson and Greene did not play much, so most of the day was Knapke and James Morgan at QB. It was also a day for Fred Coppet to show what he could do. He told Coach that he couldn't sleep the night before the scrimmage (note this if you think these guys don't care...this was A SCRIMMAGE) and he got the ball a lot and he was very, very effective. He said afterwards he wants to prove himself because of some high profile additions to BG's running back corps, and I would say he does that. He also made the point that people think the Baylor offense is all about passing, which is not accurate. EIU put up some huge running numbers when Babers was there. When you have everyone all spread out, there are gaps for running as well as passing. BG also looks to have a very strong o-line. Greene and Coppet both should have ample opportunity to make big plays. Beyond them, depth is still going to be important, though, because both of them have had a tendency to get injured and neither is the biggest RB. The defense seemed to really compete. They felt they were embarrassed the week before and while I didn't see that scrimmage I did think that the defense played hard and competed and made some plays. They played with pride, celebrated when they got a deflection or a turnover. James Morgan got some snaps at QB. He's a freshman literally in his first days at this level. He made some good throws and some not so good throws and at one point Babers was chewing him out. Very nice turnout of season ticket holders and BG says the attendance was up significantly over last year. It certainly got the blood flowing for me. 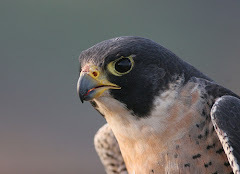 #FalconsFlyForever from Bowling Green State University on Vimeo. Another great video from Bowling Green! Welcome to campus, new Falcons, you are in this thing for life, so enjoy the ride. This is really well done. Also, it is the first rap song ever to use the phrase "everything in moderation," so we have that going for us. Anyway, makes me proud and a little nostalgic. Have a great year everyone. Hat tip to BGSU33 over at ay-ziggy-zoomba.com, who went through the roster from the Spring game and compared it to the roster that was recently updated. (This isn't the full list, I took out the guys who were already gone by the spring game). The following is from his post. The first 6 were not really news and have been mentioned at some point or another. Others were more news. The biggest is Cody Callaway, who was set to be a two-star player, with baseball and football. He was drafted in baseball and he played as a true FR last year in both sports. I don't believe there has been anything official on this, so it would all be speculation, but it would not be a terrible surprise if he decided to focus on baseball. Zack Sharp is not a surprise. Our initial post on his commit said he was expected to grey-shirt and enroll in January. Dingle and Beery were both recruited guys who played on defense. As mentioned, Dingle was on the spring depth chart and Beery played 2 games last year. As far as I can tell, the other guys were walk-ons. CB Travahn Beery - Article said he is transferring to D-II Malone. This Rashaun O'Neal is a WR, 5'11 and 170. He talked to Hustle Belt, and it would seem that speed is his big thing. Just guessing, but I'd say he projects to a slot receiver. Scout gives him 2-stars and he appears to be unrated elsewhere. He is reported to have offers from Kent and Indiana State. In football, he was second-team all-conference. He was the 3rd leader receiver on their team and had 32 receptions for 8.9 yards per and he scored twice. He also ran the ball 20 times for an 8.7 yard average and scored once. He also returned kickoffs (22 yard average) and punts (8.3 average). Remember, those were all as a junior. Rashaun is a big track star and won the long jump at his district competition and he was part of three district champion relay teams and their 4x200 team eventually won the region as well. Welcome to the Falcons, Rashaun. Fall practice is underway. I just watched Coach Babers on media day and then after the first day of practice. Like most coaches, he doesn't actually say anything that's really interesting. It's mostly Coachspeak. I will give him credit...there was a low level of Baberdoccio as well. He said that he knows that are expectations and the team has to meet them. Two things of interest, in my opinion. The first is about Austin Valdez. He's from Sylvania and was recruited by Coach Clawson to be a QB at BG. Obviously, there is a little logjam there so Babers moved him to LB. After training as a LB for a year and a half, Coach says he is a "good looking cat." He's going to be important. BG had big losses at LB and the ability of the players we have to replace them is going to be huge. There are also question marks on the line (as there are in all parts of the D) and there could be a lot of times where the line of scrimmage is down field and the LBs are going to be critical to defending that. The other thing is the offensive line. Coach made an interesting comment...he's made it twice actually...that the offensive line LOST WEIGHT over the summer. When was the last time you heard that? The talk before was always focused on bulking up. Now, to play the up-tempo style, you need lineman who are lighter. It highlights on the difficulties when you go to system football--both when you enter system football and when you exit system football. It is more and more common, though. I googled "weight loss offensive lineman up tempo" and you can see the same thing going on at NC State, Tennessee (! ), Idaho, the 49ers, Grantsville HS in Utah. And that's just the first page. So, BG had a football verbal and this one is ranked pretty high. His name is Caleb Bright, and he's a 3-star composite (based on 24/7) and a 2-star on rivals. Caleb is from Urbandale, Iowa and plays OG. According to Rivals, he had offers from Buffalo, Ohio, EMU and South Dakota. He is 6'4" and 274 pounds, which is good sized for a rising senior. According to the Des Moines Register, Bright is the 5th best recruit in Iowa. Welcome to the Falcons, Caleb. So, Fall camp starts tomorrow and then the show is underway. It will be interesting to see how this all unfolds. To get us warmed up, the fall preview guide is out. 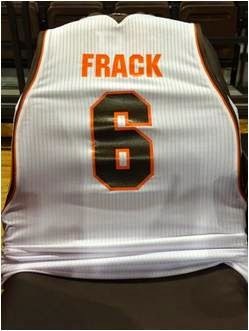 Feel free to navigate over to bgsufalcons.com and check it out. The most interesting thing is the depth chart. I'm honestly not sure what it actually means, since BG puts a depth chart in the game notes and rarely if ever changes it. Dino is a little on the "don't tell the opponents thing on the other side of the ledger." The offense is largely as expected. Bennett, Hunter, McAuliffe, Huettel and Dietz across the front, with only one senior and yet experience. Matt Johnson is first at QB. The WRs are interesting...Dieter, Moore, Burbrink and Lewis...no surprise, just what we finished with last year...backups are Gallon, Hosley, Redding and Coby. So, the news there is that Robbie Rhodes is not on the two-deep. At the end of the Spring Coach said that Rhodes would not be on the two-deep, so I guess this isn't a huge surprise. Anyway, it is also a sigh of how deep the WRs are. (He is on the roster). RBs are Greene and Coppet. TE is JUCO transfer Derek Lee. The defense shows a few more question marks. On the line, BG has Baird, Sanders, Bush and a walk-on named David Konowalski from Milwaukee. One of those spots would have been Bryan Thomas. In the middle, Zach Colvin is back with Taylor Roster, Mike Minns and Gus Schweiterman. They might be fine, but we have never seen those guys perform on a really high level, and if teams can run on us they can keep that offense off the field. Note that Bush played only 6 games last year...and that transfer Malik Brown is also no on the two-deep, though on the roster. At LB, the starters are Austin Valdez, Aaron Banks and James Sanford. Sanford and Valdez played quite a big last year. Banks is a guy who came highly touted to BG as a Safety...who might have ended up here due to an injury in his senior season of HS. Anyway, he has vaulted his way to the starting spot in the middle. Backups are Trent Greene (who has largely been a special teams guy), Nate Locke (who retains his spot as MLB back up) and Nilahah Ballew, who has also been moved up from S. With the exception of Valdez, BG is very undersized at LB. In the backfield, in addition to the expected losses, Will Watson is no longer on the roster. The CBs are Darrell Hunter, who was slated to start last year before Clint Stephens pushed him out, and, well, Clint Stephens. Walk-on Alphonso Mack and Fr. Marcus Milton (who came to BG with Roger Lewis) are backups. At S, ND transfer Eilar Hardy has a huge role at SS and Denard Turner, who played quite a bit last year during Ryland Ward's injury, will start. Back ups are Ben Hale and Isaiah Gourdine, the latter of whom has seen the most game action. Special teams are very solid. Tate at PK, Davidson at P, Hohenstein at LS and Farinella on kickoffs. One thing to watch for is the incoming FR, especially in the defensive backfield. Last year, Clint Stephens broke in at CB and you could see something like that again this year. 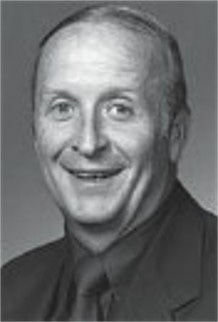 Former BG Men's Basketball Coach John Weinert passed away last Thursday at the age of 83. Weinert is probably not as well known as he should be among Falcon faithful. He took BG to the finals of the MAC tournament twice...which as far as I can see is one more than anyone else has. Only 3 coaches since Harold Anderson have left BG with a .500 records after multiple seasons, and his winning % is better than Dakich's and slightly worse than Larranaga's, but with two regular season titles compared to Larranaga, Dakich and Orr with only 1. He made the NIT twice and was MAC Coach of the Year Once. In other words, you could argue he was BG's most successful coach since Harold Anderson left. In 1963. He had some great players. The Faine (corrected) brothers, David Jenkins, Duane Grey, David Greer, Colin Irish, Keith Taylor. And there were some very good teams in there. One of the biggest disappointments in my BG fandom was the night BG lost the MAC Championship at home to Ohio U. (BG also lost the CCHA Hockey Championship that night after failing to convert a penalty shot in OT). That was the best chance BG had to make the big dance since the end of the Fitch year. That game (and night) ranks up there with the fat punter game in terms of just soul-crushing disappointment. Weinert had a trademark that was very annoying to opponents. He took his sport coach off during games, and when he thought he had the game clinched he put his jacket back on. The fans would chant COAT COAT COAT. It was the kind of thing you loved and everyone else hated. Rest in Peace, Coach, with your sport coat on.